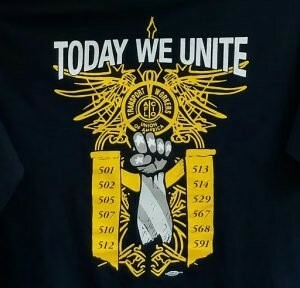 Wednesday was a monumental day for every single member of the Transport Workers Union. 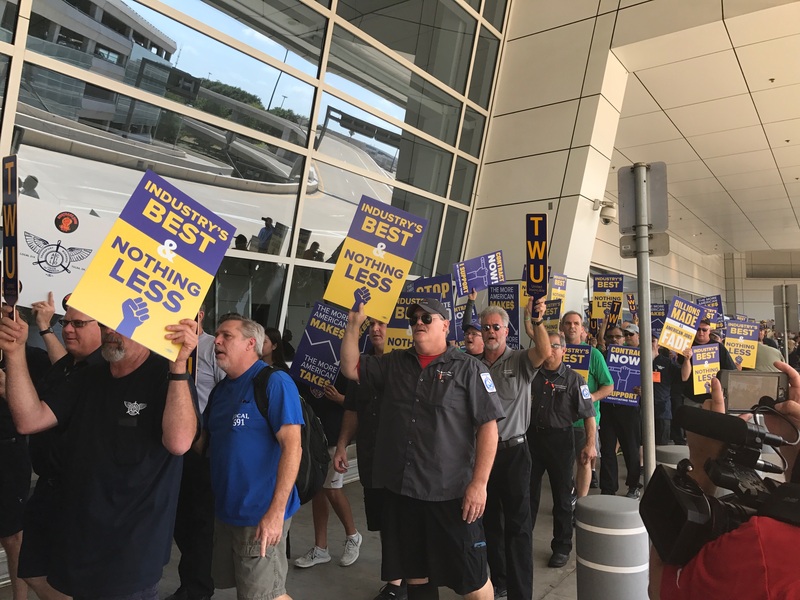 Together, we shut down an entire terminal at one of the country’s largest airports, and we did it by standing united with one common goal: to show American Airlines that TWU is ready to fight. International President John Samuelsen, Administrative Vice President Jerome Lafragola and Air Division Director Mike Mayes joined more than 2,000 members from Locals 513, 567 and 591, along with their brothers and sisters from other American locals, Southwest locals, and union allies from the Allied Pilots, CWA and others to protest the company’s continued outsourcing and contract delays. Filling every American Airlines gate at Terminal D of DFW, members marched proudly demanding, “Industry’s best and nothing less!” drawing the traveling public’s attention to the company’s mistreatment of its ground workers: sending maintenance and security jobs overseas and taking nearly two years to bargain a contract they’ve promised would reward the workforce for its sacrifices. 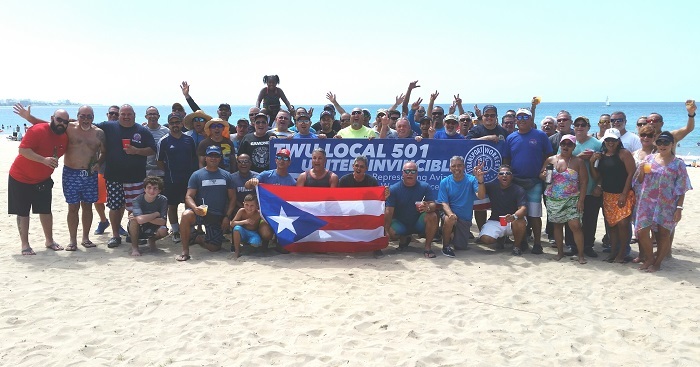 The event marks a huge victory in TWU’s Today We Unite campaign at American Airlines, with a massive turnout success orchestrated by the locals on the ground. It garnered nearly 200 press hits and reached 74,000 people on Twitter, including national coverage and exposure that ensures the traveling public sees our message and joins our fight. Check out some of the clips here and here. And stay tuned for the next steps in the campaign!